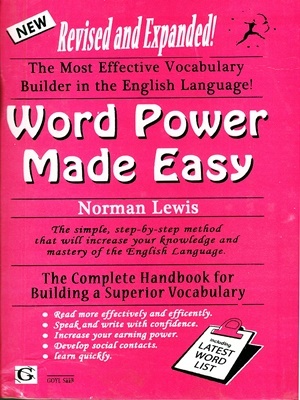 Word Power Made Easy is a comprehensive vocabulary‑building system created by legendary grammarian Norman Lewis that provides a simple, step‑by‑step method to increase your knowledge and mastery of the English language. 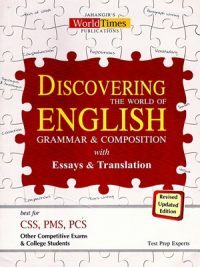 Word PowerMade Easy is the best and quickest means to a better vocabulary in the English language. 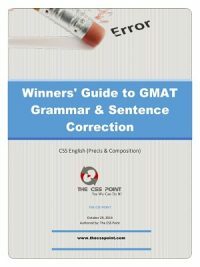 As you complete the exercises in this book, you will learn how to tell if you’re using the right word as well as how to pronounce and spell it. 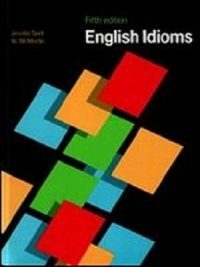 You will also learn how to avoid illiterate expressions and how to speak grammatically, without making embarrassing mistakes. 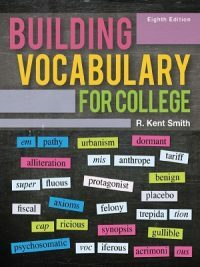 A complete handbook for building a superior vocabulary, Word Power Made Easy will teach you how to speak and write with confidence as well as how to read more effectively and efficiently. It will help you to learn more quickly, develop social contacts, and increase your earning power. Each chapter ends with review. Each section ends with a progressive check. Numerous tests will help you increase andretain the knowledge you acquired. 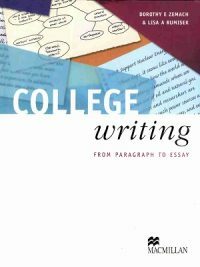 Word Power Made Easy does more than just add words to your vocabulary; it teaches ideas and a method of broadening knowledge as an integral part of the vocabulary building process.